Home Cobra Information Cobra Village: Scariest Place on The Planet ? Can you imagine a place where all inhabitants keep King Cobras as pets? 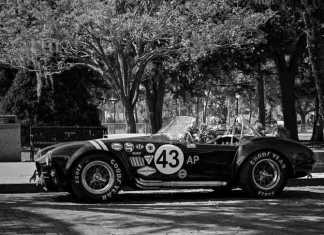 A place where cobras roam the streets as if they were cats and dogs? Welcome to ‘Cobra Village’, whose inhabitants don’t keep chicken or ducks in front of their houses. They breed and rear hundreds of cobras instead, mostly just underneath or even inside their homes. They regard the most revered snakes on the planet – as part of the family. If you walk along the village streets, you will definitely see some deadly cobras and other snakes locked in cages, while others stroll the roads freely. This unique village, located in Northeastern Thailand, is actually called Ban Kok Sa-Nga, but everyone knows it as ‘Cobra Village’. 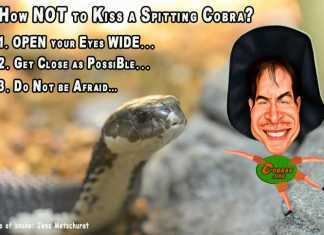 What happens if a Cobra bites? Do they have any anti-venom for snake bites in the village? Well NO, they do not. Instead, they grow a special herb in their backyard, which they mix together with lemon juice and put on the snake bite wound. It’s called ‘Wan paya ngoo’, and villagers claim it will cure bites of any venomous creature, even scorpions. 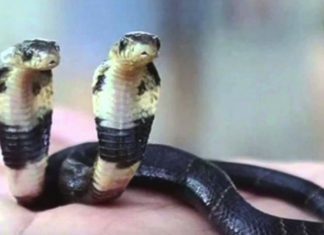 Remarkably, a report published on the website of the U.S. National Center for Biotechnology Information actually validates that ‘Wan paya ngoo’ is effective against the cobra venom. According to them, it contains some kind of unique molecule that can protect cellular proteins from the venom’s lethal enzymes. This ‘magical’ herb is actually the main product with which the villagers make their living, and they sell it in the Cobra show market. Having all this in mind, there’s no wonder why ‘Cobra Village’ has become such a fascinating and popular tourist attraction, but how did it all begin? More than sixty years ago, a doctor in the village of Ban Kok Sa-Nga decided to fulfill his dream of transforming his small typical Thai village, into a unique tourist attraction. In his ambitious quest, the doctor surprisingly managed to persuade his neighbors to do something extraordinary: Raise snakes as pets in their houses and then perform with them in shows, to attract tourists. Today, every single home of the 140 families of ‘Cobra Village’ keep and breed at least one snake. Some of these snakes are among the deadliest in the world, such as King Cobras and various cobra species, while other snakes are a bit less dangerous, such as pythons and racers. It is quire astonishing, but even the children in this fascinating village are not afraid of snakes. They are taught already at young age how to handle, feed and rear snakes, and eventually, how to perform and fight them on stage. But how does someone grow up and live in such a place? It sounds like a terrifying place to live and raise your children in. Wouldn’t you be constantly afraid of the next snake bite? Well, surprisingly the people of ‘Cobra Village’ are NOT afraid at all. 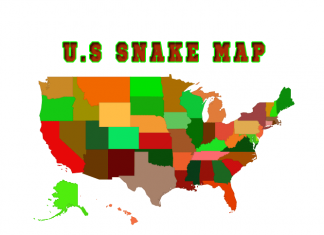 They live extremely comfortably with all their snakes. Maybe some of the mesmerized tourists are terrified from time to time, but it seems that the village is always in ‘Gala’ mode, celebrating from one snake show to another. These Thai villagers have amazingly turned fear of Cobras and snakes into a unique happy festival, and most of the tourists love it. The brave tourists who have the guts to watch the fight shows, can see how fearless snake handlers, some even in their 70’s, stand off face-to-face with King Cobras. So if you really love snakes and reptiles, and you are ever in Thailand, do not miss the opportunity to visit this unique place where humans and snakes live together. “Cobra Village” is definitely worth the trip for any snake fan! Previous articleTuatara Lizard-Like: Is This The Longest Living Reptile?